Video game players get accustomed to familiar faces in their communities and are always both sad and proud to see them move onto new ventures. Today, Amanda Erickson, better known to SMITE players as HiRezAmanda, announced her departure from SMITE developer Hi-Rez Studios to accept a social media manager position at Rooster Teeth. Erickson began her employment at Hi-Rez in March 2015 as the Xbox One community manager when SMITE was still in alpha on the platform and not yet announced for PlayStation 4. Erickson introduced herself with an Ask Me Anything on the SMITE subreddit, fielding questions from players about hockey, video games and her English Literature degree. Looking back on those nearly three years, it’s evident how much both SMITE has progressed as a game and how much Erickson has impacted the company. Since then, SMITE released in full on both Xbox One and PlayStation 4 and celebrated its fourth birthday just this week. Erickson became a marketing producer for SMITE in August 2017, becoming a less public face for Hi-Rez and SMITE but still an integral part of the game behind the scenes. In addition to her regular duties, Erickson could often be found advocating for the cosplay scene, in which she also participated. 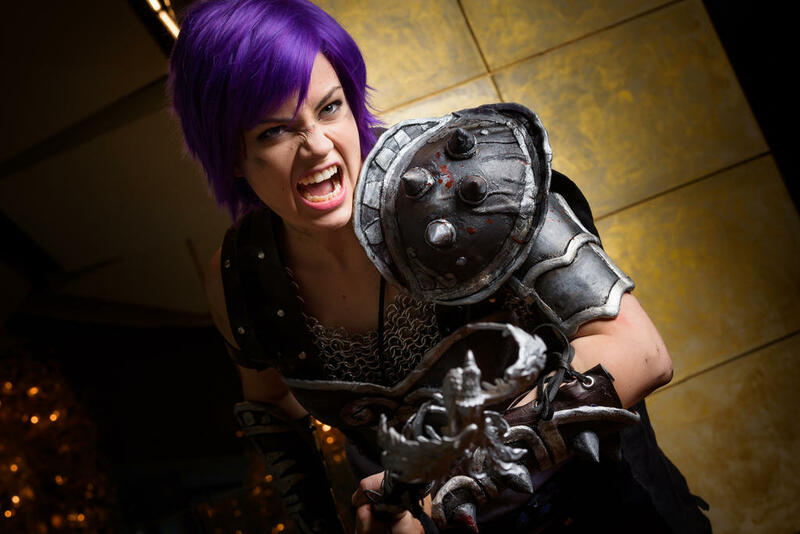 Fans dubbed her the “cosplay queen.” Erickson’s portrayal of Bellona — affectionately called Bae-lona by fans — is famous in the SMITE community, and she was also well-known for other god cosplays like Athena and a gender-bent Thor. 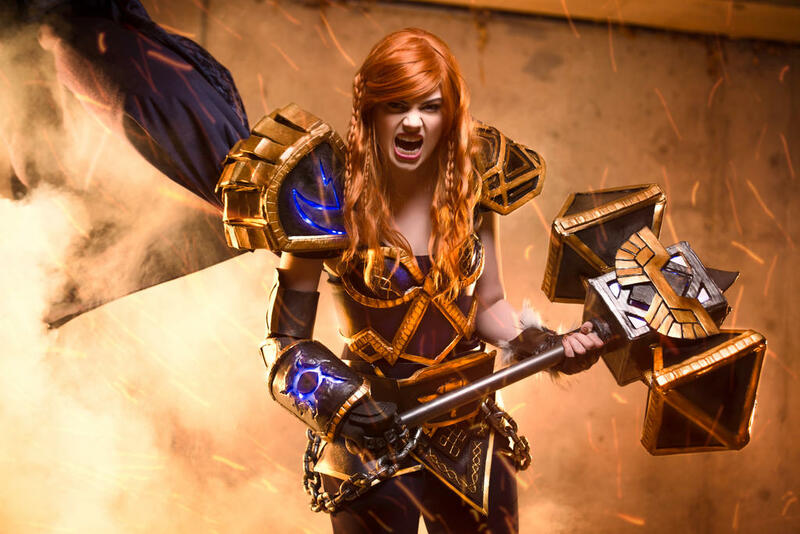 This year, Hi-Rez offered a $15,000 prize pool at the Hi-Rez Expo’s cosplay competition, which Erickson judged with co-worker and Paladins community manager Alyssa Huskey. Erickson is optimistic about her new position at Rooster Teeth and says it has always been “a dream of mine to work there.” The new gig comes with a big move, relocating her and her husband from Hi-Rez’s hub in Alpharetta, Georgia to Austin, Texas. Rooster Teeth likely needs no introduction: the popular production company has over nine million YouTube subscribers, over a million Twitter followers, and a pedigree that includes Halo parody Red vs. Blue and anime RWBY. It’s already strange to see Erickson’s name without the ‘HiRez’ attached to it — she’s just “awildamanda” on Twitter now — but if she’s leaving Hi-Rez for her dream job, then the SMITE community can’t do anything but be happy for her.